Fes: dusty cobbled streets and tall minarets call visitors to the ancient city of wonder and Moroccan splendour! Fes is the exotic heart of Morocco, situated in the north of the country. It is full of character and Arabian charm, and has the largest car-free urban zone in the world! Fes is the second largest city in Morocco with a population of more than one million residents. Top attractions include Fes Medina, Attarin Medersa and Fes el-Bali. Set your heart on this golden city because cheap flights to Fes are available for a limited period of time! Fes is home to Fès–Saïs Airport (FEZ), located on a 25-minute taxi or car drive from the city centre. 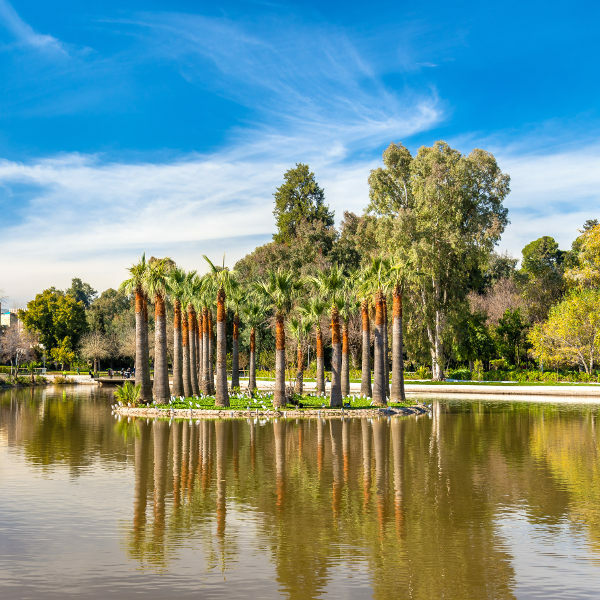 It’s hard to imagine that amidst all the hustle of the city’s main medina, you’ll find the tranquil oasis – Jnan Sbil Gardens. It is known to have a calming effect, perfect after a day spent in the city centre. Watch craftsmen weave the most intricate rug designs and mould leather goods by hand, all before your eyes in the souks across the city. Sit down and enjoy the artistry! Visitors to the city of Fes will be astounded by all of the 13th to 16th century Moroccan architecture that is found in and around the city. Fes is also home to the oldest university in the world, Al-Karaouine. Fes is located in the north of Morocco and can experience some extreme changes in the climate throughout the year. During the summer (June to September), daytime highs can reach up to 34 degrees Celsius, a steep contrast to the cold days in winter (November to February) which can sometimes be around 5 degrees Celsius. With this in mind, the best time to visit Fes is during the spring and autumn months, from March to May and again from September until early November. Despite being a popular tourist destination, the streets of this cobbled city still tell stories of centuries ago and maintains its old-Arabian feel. Fes is filled with religious architecture and buildings, and these carry the allure of tall pillars, rich colours and tiled mosaics. The Medersa Bou Inania is a favourite, build in the 13th century by a powerful sultan. 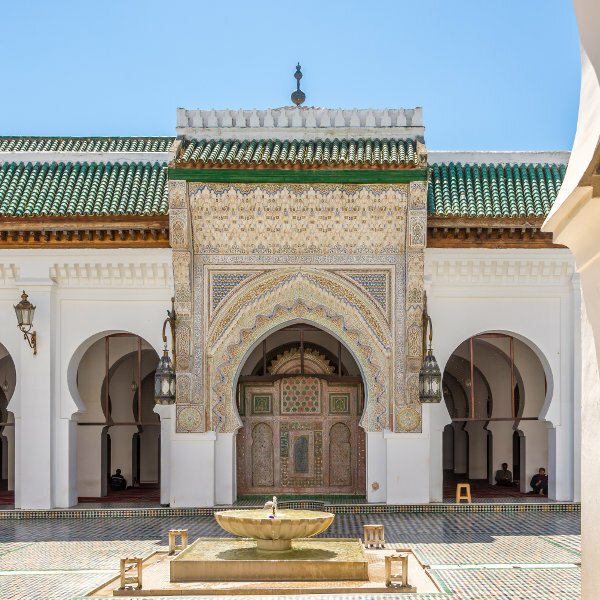 There is also a UNESCO World Heritage Site, University of Al-Karaouine that was built in the year 859, the world oldest operating university! 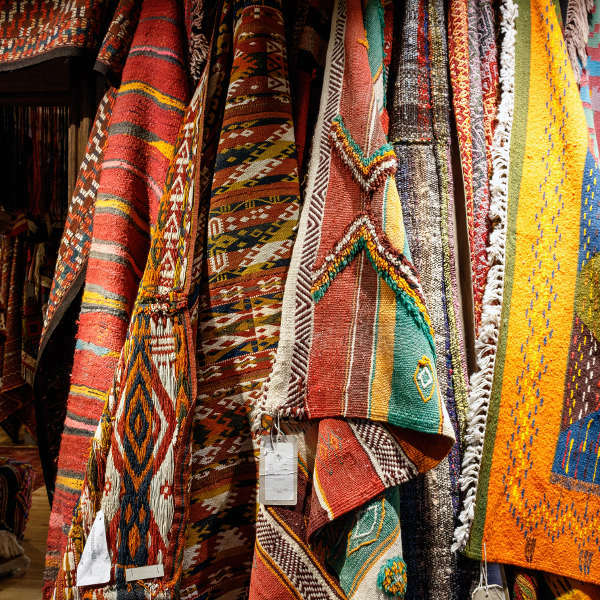 Morocco is known to be a shopper’s delight and this is no different in Fes! Visitors are allowed to visit the famous Chouara Tannery, offering a once off opportunity to view the dyeing of animal hides, most of which will later be sold in the souks as handbags, belts, shoes and more. In the oldest neighbourhood of the city is where you’ll find Fes el-Bali, an ancient medina that has stood the test of time. The area is divided by a meandering river, splitting it into colourful souks and historic landmarks to the left, and slow-paced life of the locals to the right. There is also a 16th-century fortress with a military museum on the outskirts of the city – well worth the steep uphill walk. Fes is a magical destination that should be placed on the list of any traveller looking for an authentic Moroccan experience. Compare several airlines and book your cheap flights to Fes with Travelstart today! Fes is a safe city for visitors, but it is recommended to travel in groups or with a tour guide when travelling and walking around the city. Solo female travellers should practice extra caution. The city sees plenty of tourists over the peak season (March to May) so it is a good idea to place your valuables in your hotel safe to keep petty crime thieves at bay. While there are no vaccines required for your trip to Morocco, it would be a good idea to visit your local doctor for a check-up 4 – 6 weeks ahead of your trip. The following immunisations are recommended: hepatitis A and B, typhoid and rabies.